You read that right. Forget perfect form. I’m here to tell you “perfect” is a myth. Leave that perfect squat with Santa Claus. We’re going to get real here. 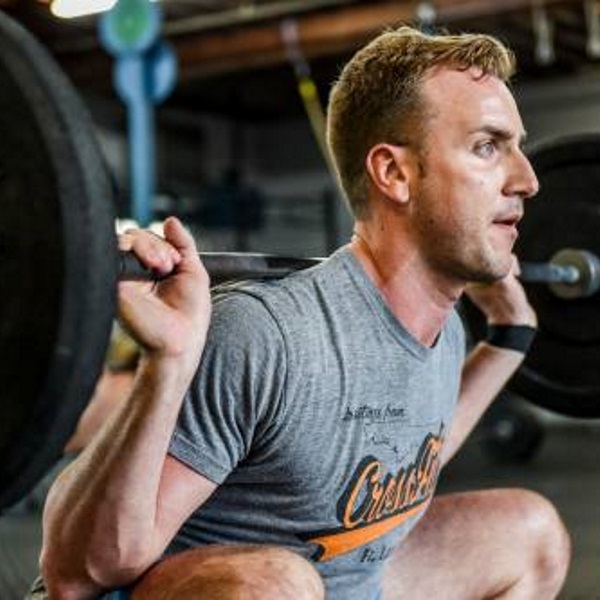 Before you rush to the bottom to tell me how wrong I am or how dangerous that is, let’s explore why there can’t be a perfect squat, deadlift, or anything else. I’ll introduce you to a more effective way to ensure that you’re moving safely, helping you prevent injury and increase resiliency. To understand the futility of chasing perfection, we need to review a bit about motor control. As I’ve touched on in the past, every movement in the body is a complex interaction between the nervous system, muscles, and bones. There’s no little man in the brain searching a computer for a squat program every time you want to squat. Truth be told, we control very little when it comes to movement. And when we focus on trying to consciously control individual components of movements (cue “squeeze the glutes!”), we may actually interfere with our own processing, reducing efficiency and performance.1 Because of this complex interaction, you can think of each movement as a snowflake. No two movements can ever be identical. Famed neurophysiologist Nicholai Bernstein referred to this phenomenon as “repetition without repetition.” In studies of skilled blacksmiths and marksmen, he found each repetition of a skill followed a slightly different pathway. For example, when striking an anvil, a blacksmith’s arm might be in any number of possible joint configurations. There’s certainly no “perfect” way to hit an anvil. Rather, there are infinite perfect ways to get the job done within given constraints: the environment, your own body, and the task at hand. Sure, there are more efficient ways to go about it, but consciously hunting for the one perfect way is a wild goose chase. So what can we do instead? I tend to think of joint mobility as movement currency. The greater range of motion you can actively control, the more options you have for any given movement. You’ll be able to handle imperfect conditions without injury. It’s like having a cushion in your savings account. You may not need it on a day-to-day basis, but you’ll be glad you have it when emergency strikes. Every movement is built on healthy communication between body and brain. And the body is equipped to talk. It sends sensory information to the brain through a vast network of special cells called mechanoreceptors. These cells carry information about pressure, tension, force, and relative positioning to the brain. They’re responsible for your proprioceptive sense. When it comes to moving safely, this proprioceptive sense is often more important than muscle strength. We’ve known for awhile that our proprioceptive sense plays a huge role in establishing and maintaining joint stability.2,3 Without it the nervous system wouldn’t know what musculature to engage, or when. Our problem with movement quality isn’t that we have weak or inhibited muscles. We have an issue of organization. The brain needs to know where the body is to maintain motor control. If you want to move efficiently and safely, you have a responsibility to boost your body awareness. Your proprioceptive sense is like anything else in the body. If you don’t actively use it, you’re going to lose it, just like high school trigonometry is a bit fuzzy these days. You know muscles atrophy; your proprioceptive sense is no different. It’s crucial for us to restore and retain our bodily awareness. Without it we simply can’t move well. We’ve seen that perfect form doesn’t exist, so the question is: how do we boost our efficiency? The answer: get moving outside in new and unfamiliar ways. MovNat has developed an introductory series, From The Ground Up, to help you restore basic function. But make no mistake, for many people these fundamental movements won’t be easy. It all comes down to improving our proprioceptive sense and getting our bodies accustomed to controlling a wide range of joint positions. The quest for perfect form narrows your body’s range of function and makes you fragile. It’s far more effective in the long run to maximize your functional possibilities through natural movement in natural conditions. After you’ve established competency in basic movements, take them outside the box. Challenge your proprioceptive sense with irregular movements on varied terrain. Real life cares very little about max effort squats on perfectly flat floors. 1. Wulf, Gabriele, Nancy Mcnevin, and Charles H. Shea. “The Automaticity of Complex Motor Skill Learning as a Function of Attentional Focus.” The Quarterly Journal of Experimental Psychology A 54, no. 4 (2001): 1143-154. doi:10.1080/02724980143000118. 2. Lephart, Scott M., Danny M. Pincivero, and Susan L. Rozzi. “Proprioception of the Ankle and Knee.” Sports Medicine 25, no. 3 (1998): 149-55. doi:10.2165/00007256-199825030-00002. 3. Jerosch, J., and M. Prymka. “Proprioception and Joint Stability.” Knee Surgery, Sports Traumatology, Arthroscopy Knee Surg, Sports Traumatol, Arthroscopy 4, no. 3 (1996): 171-79. doi:10.1007/bf01577413.